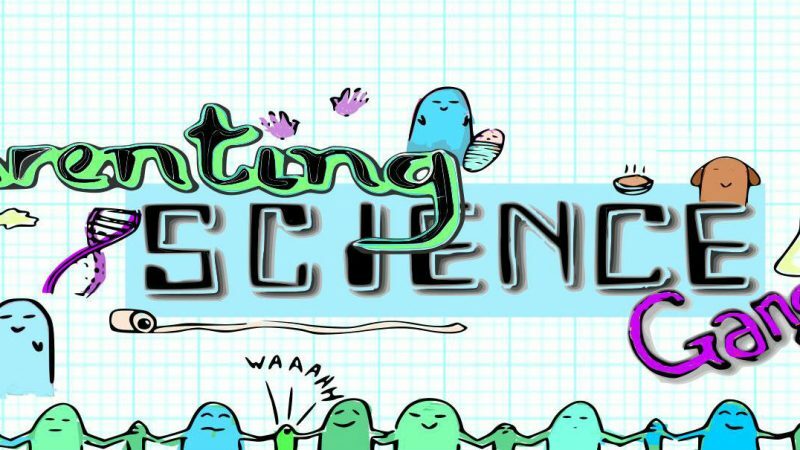 Parenting Science Gang is funded by Wellcome for a two year period and we’re coming towards the end of our project. Over the last 21 months, our 2000+ citizen scientists have achieved amazing things. They’ve created 7 novel research studies, helped researchers develop their plans for a longitudinal study into the microbiome and quizzed around 80 experts in our online Q&As! 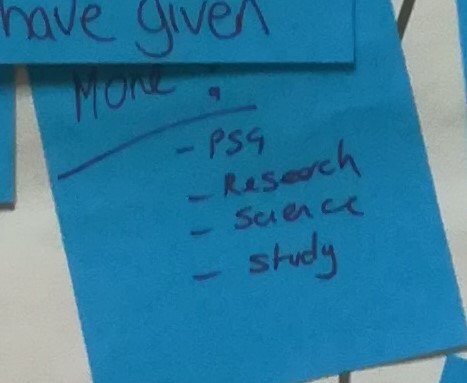 So last month, we invited around 30 PSGers, representing our 8 groups, along with some of their children and family members, to York to celebrate what they’ve achieved, share it with other PSG members and the wider scientific community, and have a think about what happens next. We also had some great guests – our thanks to Dr Alice Jones Bartoli, Katherine Mathieson, Dr Lauren Spinner, Maureen Minchin, Rachel Plachcinski, Dr Simon Cameron and Dr Zoe Darwin for joining us! 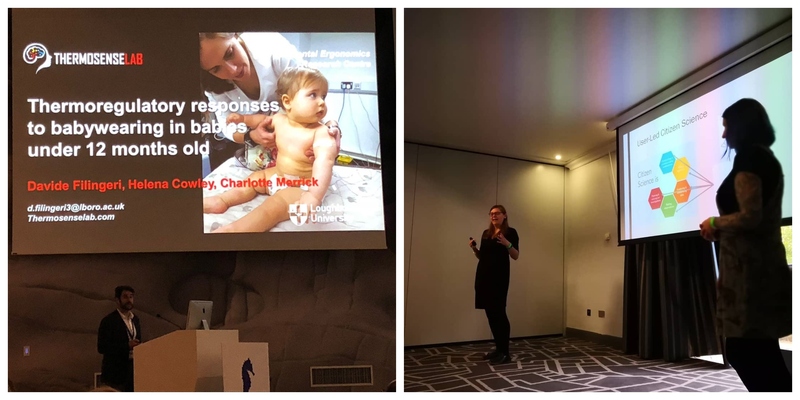 Since our last newsletter, Science-Aware Natural Parenting (SANP) PSG have presented their work at the Midlands Baby Carrying Convention in Coventry and have been invited to present to the Institute of Physics and Engineering in Medicine. Their collaborating scientist, Dr Davide Filingeri (Loughborough) also presented the findings at the International Conference on the Physiology and Pharmacology of Temperature Regulation in Croatia in October. Dumfries and Galloway Bumps Babies & Beyond (DGBBB) PSG has completed their research and are busy writing up a report on flexi-schooling (part time school, part time home-education) in Scotland. They’re hoping to publish in the new year – watch this space! Some members of our Breastfeeding Older Babies and Beyond (BOBAB) and UK Breastfeeding and Parent Support (UKBAPS) PSG groups got to meet with Dr Simon Cameron (Imperial) at our Final Event last month. It has been fantastic to hear how our collaboration has inspired such great interest in the science of breast milk for Simon and his team; the data set from our donations is enormous and they will continue to work on it in the future. The initial analysis is now complete and the whole group will have an opportunity to chat with Simon about it soon. Big Birthas (BB) PSG decided they wanted to look into what effect the choices given to mothers with a high BMI had on their pregnancies. They invited mothers to answer 8 questions by email about their experiences and feelings about choice. They had about 20 responses and are using thematic analysis to look at them. The volunteer analysts have gone through most of the interviews and “coded” them i.e. pulled out evidence where they support the same ideas. Some analysts found reading the responses more harrowing than they anticipated. The group are aiming to have their analysis complete and written up by Christmas so they can share it in the new year! 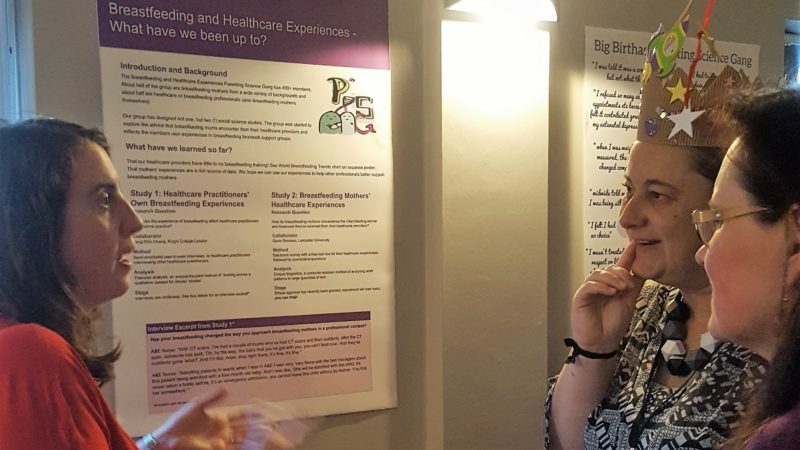 Breastfeeding and Health Care Experiences (BF HCE) PSG have had a phenomenal response to their infant feeding survey – around 750 women submitted their stories. Which means that Dr Gavin Brookes (Lancaster) has around 260,000 words to run through his Corpus Linguistics software which will identify the most frequent language patterns in the data. Analysts from BF HCE PSG will then use thematic analysis to pull out the key themes. This is going to be an iterative process and the group will share the results in the new year. Meanwhile, the same group has collected in-depth interviews with healthcare professionals, reflecting on how their own breastfeeding experience has affected their professional practice and our willing volunteers are coding the transcripts under the guidance of Dr Yan-Shing Chang (King’s College London). At this early stage, we’re excited to see that there may be similar and interesting themes emerging from both these studies. That’s all we can say right now… watch this space! The Mealtime Hostage (MH) PSG great feeding survey closed on 26th October. The study looks at children’s eating behaviour, and particularly what makes children more or less likely to have feeding difficulties. While ploughing through the wealth of data, Dr Terry Dovey (Brunel) said “So much to do, but I am excited now with this data and I think we have a real great dataset. Potentially the best one I have ever seen on this topic.” Our citizen scientists are now looking through the data pulling out questions for further analysis. We think Prof. Jackie Blissett (Aston) sums it up nicely: “what a treasure trove of data!”. The PSG Books study designed by our group of Let Toys Be Toys supporters (LTBT-PSG) went live late last week and saw over 200 people complete the questionnaire for parents within 24 hours! This research is looking at whether books have an effect on the social attitudes of young children. Parents will read an allocated book to their children at least 3 times a week over a 5 week period, completing a questionnaire before and after this intervention period with their child. There may just be a couple of spaces left – take a look if you’re interested in taking part or finding out more. We’ve had around 80 Q&As and they’re all available on our website. Here are a few of our recent highlights. Our project may be drawing to a close, but our parent citizen scientists are still full of questions and we’ve still got time for a few more Q&As. If you’re an expert in any area of parenting or child development and would like to get involved, please contact us. Want our newsletters direct to your inbox? Join our mailing list.